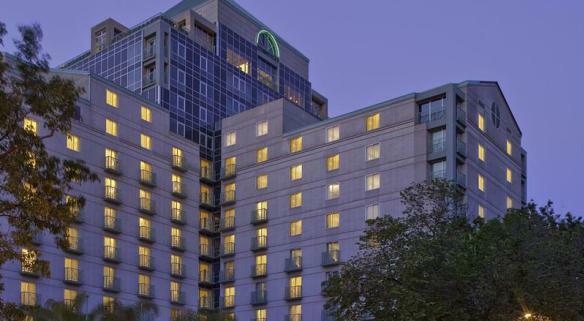 Sacramento's finest luxury hotel, featuring 503 modern guestrooms, 27,000 sq. ft of function space and two award winning restaurants. Located in the heart of downtown, across the street from the State Capitol and adjacent to the Convention Center. Description Adjacent to the Sacramento Convention Center, Hyatt Regency Sacramento features 27,000 sq. ft. of stylish meeting and conference space that inspire ideas. Whether planning an executive retreat for 10 or a convention for 1,000, our hotel features unique venues and exquisite catering to ensure your event makes a statement.